Microelectronics combine with engineered bacteria to sense differences in the gut. Currently the device is nearly the size of a large pen cap but the MIT team responsible for the sensor is looking into reducing the size of the device by one third. Further study must be conducted before the widespread implementation of the sensor in humans. 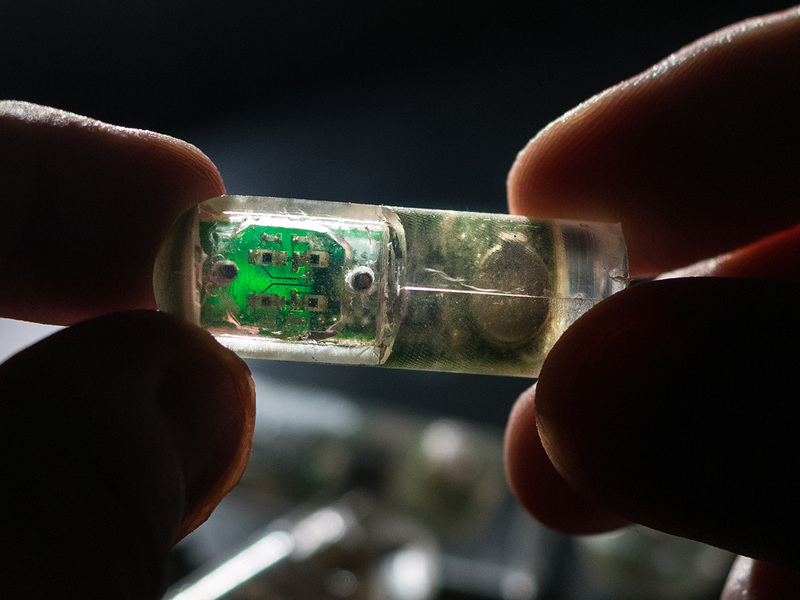 MIT bioengineer Timothy Lu highlights the adaptability of the sensor to detect a variety of conditions in the gastrointestinal tract: “All you have to change is the front-end sensor to detect a molecule of interest. It’s pretty interchangeable.” For example, when the prototype was used in the gut of pigs, it successfully detected excessive bleeding – a condition indicative of serious health concerns such as a gastric ulcer or colorectal cancer. The team devised a genetic circuit capable of detecting blood under leadership from graduate student Mark Mimee and former MIT postdoc Phillip Nadeau. The DNA came from a strain of bacteria in dairy products that is able to sense heme, a component of blood. By combining these genes with light-producing genes, the cell glows when any blood is present. Lu believes these cells have the potential to replace colonoscopies in the future as it is able to analyze the gut in a much less invasive process.